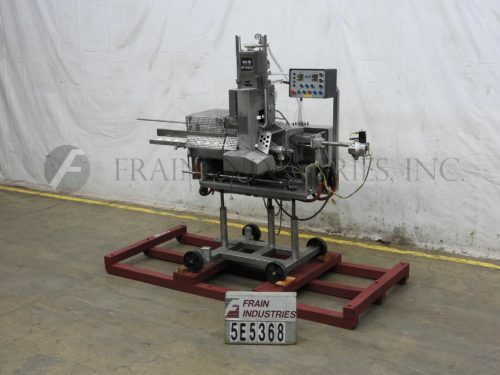 Formax Model Powermax 4000, high speed, all stainless steel, 4 cavity, bulk product slicer capable of slicing, shaving, shingling and stacking meat productcs up to 1440 slices per minute (4 lanes) or 360 slices per lane – depending on materials, application and operator dexterity. 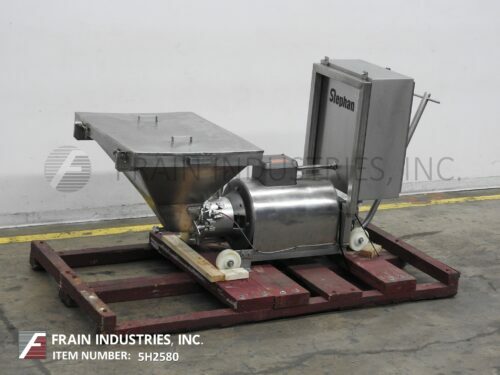 Equipped with (4) 40" long bulk product holders / feeders that can be run with a back clamp or loaded continuously while machine is in operation. Blade speeds from 700 rpm round blade to 1500 rpm involute blade and has a loaf slicing throat of 8" high x 18-1/2" in width and slice thickness from .010" to 3" depending on blade speed. Control panel has 15" touch pad controller with start / stop and e-stop and (4) independent product holder drives, scales and classifiers, tooless disassembly and easy clean up. Mounted on all stainless steel base frame with height adjustable legs and 74" long x 48" wide (4) belt discharge conveyor.